One of the best blog systems is WordPress. If you love to build a blog, then this beneficial system is for you! Millions of people are using this blog system for blogging. Also, it is included in many web hosting programs as well. This blogging platform has become popular because it has many features that any blogger needs. There is plenty of plug-ins. This feature makes it more attractive among bloggers who want someplace to host their work. People can use this open source software on any blog or website they want. They can install WordPress on their website by one click option. WordPress has a lot of advanced features. It is free and very easy to use. You can write and post blog posts with images. It has a lot of themes as well. This feature makes it easy to get professional looking blog. A non-technical person can easily make professional looking blog. It becomes easy for others to interact with your blog. They can leave comments as well. 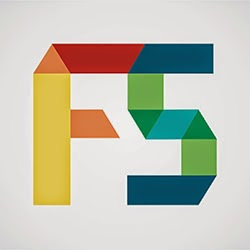 F5buddy team specializes in WordPress Development and beneficial Blog System. An advantage of using this utility blog system is you can integrate blog with social media features such as Facebook or Twitter. You can easily find support for your blog. If you want to learn all about WordPress platform, tons of material is available online. Easy and Fast Installation: The application called Fantastico DeLux helps you install WordPress with maximum ease. Plethora of Themes: There are a large number of themes on WordPress that you can choose from. WordPress 2.9 allows you to search and upload themes directly from your WP dashboard. Great Functionality: The good thing about WordPress is that you can have a whole new website without actually being a coder. You can build a website right from the scratch and similarly this comes in very handy when you are looking to build micro-websites. SEO Friendliness: The structure of WordPress is such that it is extremely SEO friendly and you do not have to worry about having your website externally optimized for search engines. Blogging is an absolute favorite for search engines and WordPress allows you to do that. Security: The security of your website is one of the most important factors and WordPress offers great security. Certain plug-ins tighten the security and keep hackers at bay. The best thing is that you easily navigate through the whole WP environment with maximum ease and can you can use templates to design a fantastic website in a matter of few hours. This is perhaps the one most important reason why WordPress has become so popular. It has been more than 7 years now when WordPress is operational and it has seen a tremendous make-over in these years from a blogging site to a full-fledged website making tool. There are millions of websites using it and the great flexibility and easiness of WordPress Customization tool is certainly one of the prominent reasons of it. The beautiful combination of widgets and templates can help in customizing the websites without knowing programming languages. It is a great thing to use this customization up to the fullest extent and take the maximum advantage! Key advantages of WordPress Customization! Give your website an identity: Customization allows a great flexibility to you and by using different themes and styles; you can give a face to your website. There is no limit for the creativity and imagination you can apply to make the website attractive and lively. Fortification of the content: Customized designs help you in show casing the content in the most appropriate manner. You can select and use themes going in tune with the field your website is for and underline the subject for better visibility. Unlimited choices: WordPress customization can provide you literally limitless options and you can have the perfect professional appearance for your website. Technical aspects: Apart from the aesthetic points, there are aspects like browser compatibility and flexibility can be achieved through WordPress customization. Your website can be accessed using any of the popular browsers without any disruption. WordPress customization has provided one more reason to choose this flexible and easy tool to design your website!